Hey there! 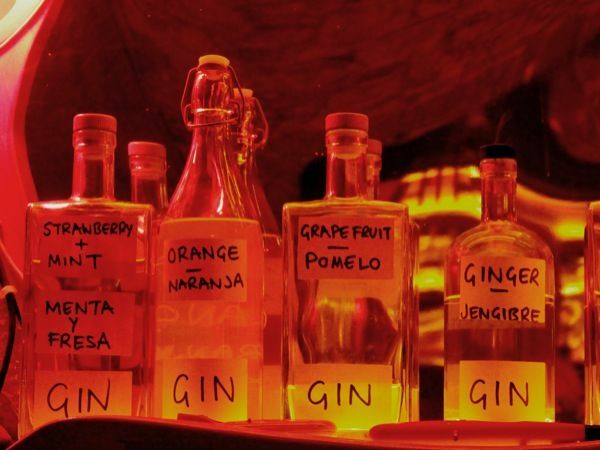 In this blog post we will share our top-secret list of the best bars in Barcelona with you, which we have lovingly crafted after years of personal, hands-on research! How Do You Find the Best Bars in Barcelona? Are you a party animal that loves to throw yourself into your new city the moment that your plane touches the runway? Or do you arrive with a well-researched plan and a water-tight itinerary so that you can make the very most of your trip? 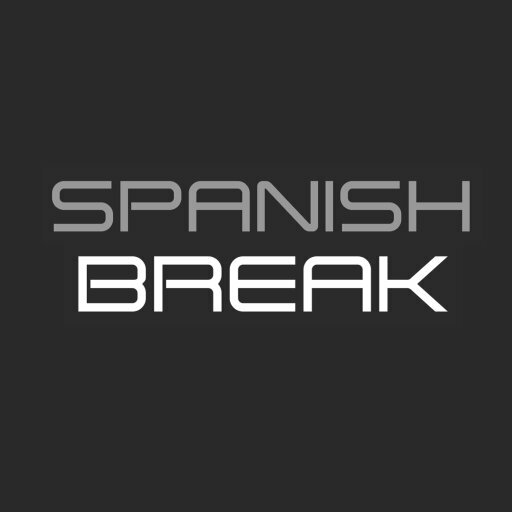 Whatever type of traveller you are, the Spanish Break team is here to offer you some stellar suggestions for the best bars in Barcelona. Some of the bars are proven classics, and others are hidden gems that will help you to party like a local and show of your knowledge when you’re in Barcelona. 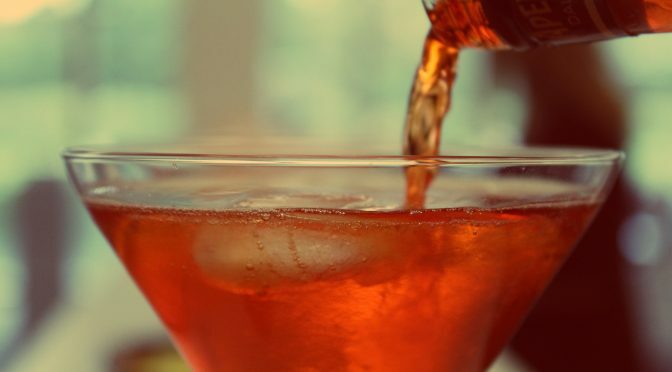 Who doesn’t love kicking off an evening by sipping on a cocktail, or even ending one with a conversation over something strong? These three bars will have you covered in the cocktails and spirits department! Best for: Classy pre-drinks, a decadent cocktail and a cool place to chill before a big night. 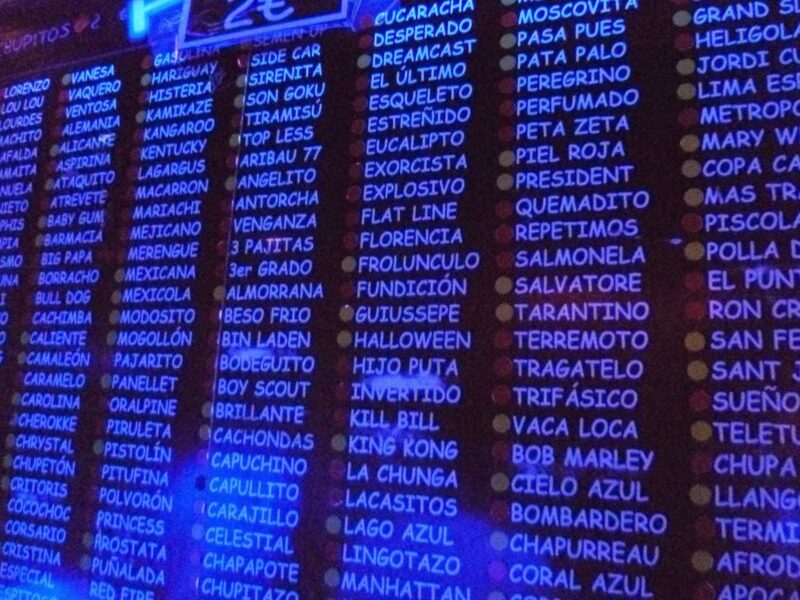 This bar is simply the coolest! You and your friends will feel incredibly smooth as you recline in this classy bar with an Old Fashioned in your hand. You can also kick back to some smooth jazz as you make your selection from the huge variety of decadent drinks available on the menu. The lighting and ambiance is also super tight, and as you relax you’ll definitely feel like kind of a big deal. Our friends over at the bar are amazingly talented mixologists, and our International Events Manager Josh (meet him in this blog post) can be found in there regularly, Old Fashion in hand… like… often. We can make your Old Fashioned experience even more special with our awesome Whiskey Tasting Masterclass activity – check it out! Best for: Getting the party started and opening up a whole new world of shots. You and your group can jump straight into the party spirit with over 600 different shots. No, that wasn’t a typo… SIX. HUNDRED. SIX, ZERO, ZERO. If you don’t know where to get started, the awesome bar staff are on hand to offer some recommendations. Just let them know what kind of tastes you like and you’ll be good to go! The staff love to have fun too (who can blame them after having to memorise all those drinks), and can seriously ignite the party spirit. Best for: Indulging in an extraordinarily unique Gin & Tonic. Barcelona is pretty Gin and Tonic crazy these days, and Rubí Bar fits the bill as one of Barcelona’s best bars. Not necessarily a fan of Gin and Tonic? Well how about one with an orange flavour, or chocolate, or strawberry, or grapefruit?! Rubí brew their own gins and they have an impressive selection available for patrons. The interior is very slick too and the bar itself is tucked away in the Born area of the city, the perfect place to find some other awesome bars if that’s the type of evening that you are looking for. While you’re on your trip in Barcelona, why not explore some bars with a more local, alternative vibe? 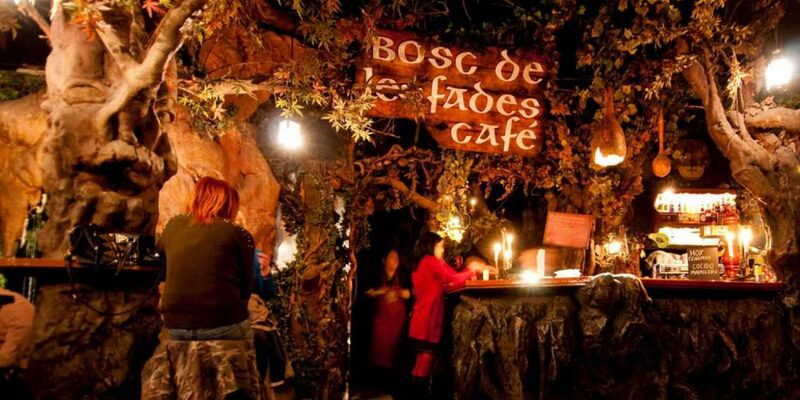 In terms of music and atmosphere, these are some of Barcelona’s best bars. Best for: Kicking back with beers while listening to some New Romantic Era tunes. The outside might be a little unassuming, but both Manchester bars are awesome! It might seem strange to begin a list about exotic bars that boast local culture with a bar named after one of the UK’s largest (and in our opinion, coolest – no Northern bias here!) cities. 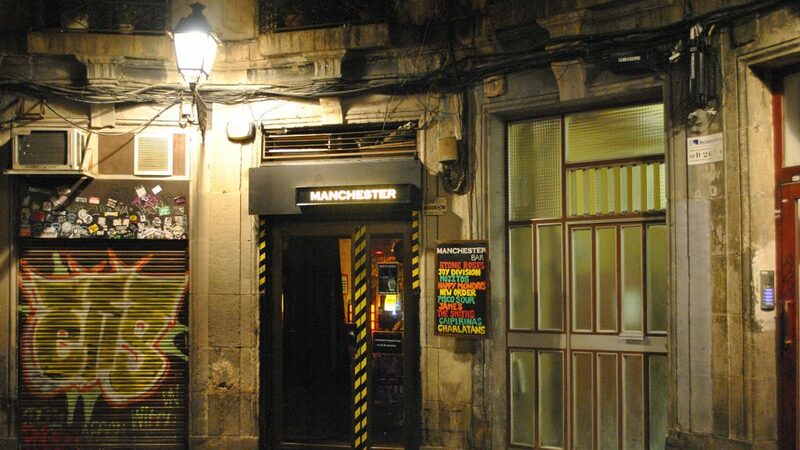 That said, there are two Manchester bars (one in Raval, one in the Gótico) and we love them both. Here, you will be able to sip on beer while listening (who knows, singing too?) to a funky selection of New Romantic era music and other fun tunes. 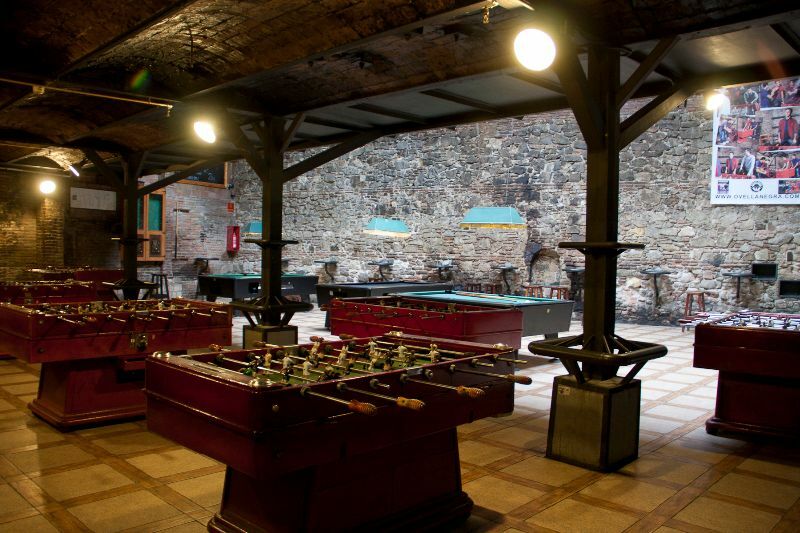 Best for: Exploring a charmingly unique bar while on your travels in Barcelona (and enjoying a great G&T!). This is really a unique and magical place that must be seen in person to be truly appreciated! Tucked away in a quiet corner of the Gótico area of the city, this bar has awesome drinks that match a truly special interior. Trust us, you’ll have a really special time if you visit this bar! You can also add little snacks if you begin to feel peckish as the night goes on. Best for: Meeting up with other fun people and being part of a big group – the drinks are okay too! There are two bars called L’Ovella Negra in Barcelona, with one found in Raval and one in Poble Nou. (Personally we prefer the bar in Poble Nou.) These bars are frequented by a huge range of people from all around the world and with good beer and great snacks available, it’s a great place to start to steer your night towards something special! Best for: Savouring the incredible flavours from the amazing Scottish craft beer company. This Scottish craft beer company that has taken the world by storm with their explosive flavours and magical marketing efforts. Their presence in Barcelona can be found in the Eixample district and definitely warrants a visit. Whether you’re just looking to escape the omnipresence of Estrella or looking to make a night of things, this is a great bar! If you head here, check out the Tactical Nuclear Penguin. You won’t be sorry! 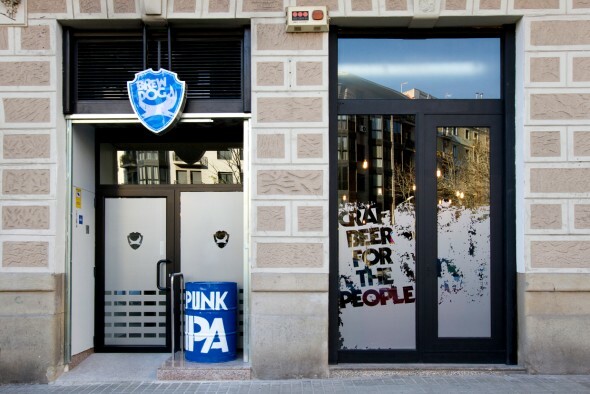 Best for: Getting a taste for local flavours and some of Barcelona’s best craft beer. 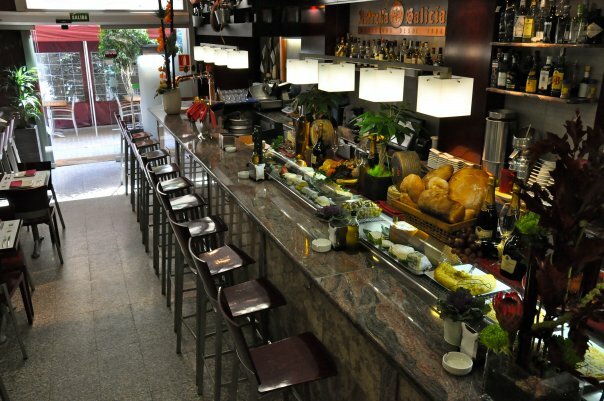 The malts, hops and other brews available in this bar are complemented perfectly by a range of tapas and cold cuts. Together, these two elements make this one of the best bars in Barcelona in our opinion. 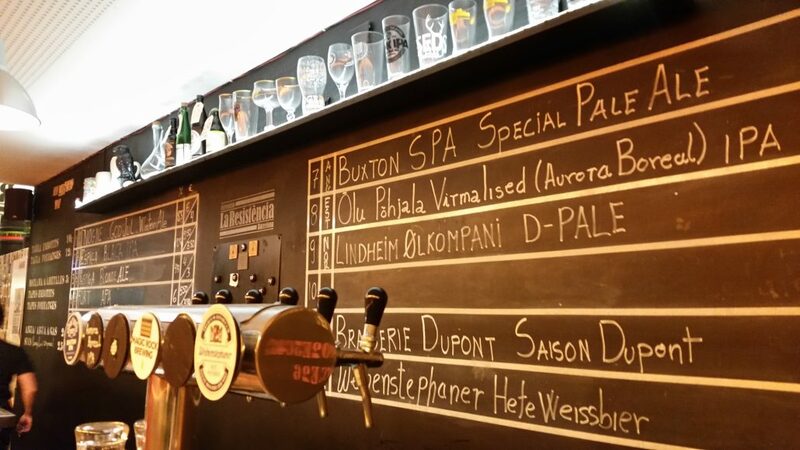 With 12 taps all serving up palatable beers, there really is something for everyone in this bar. 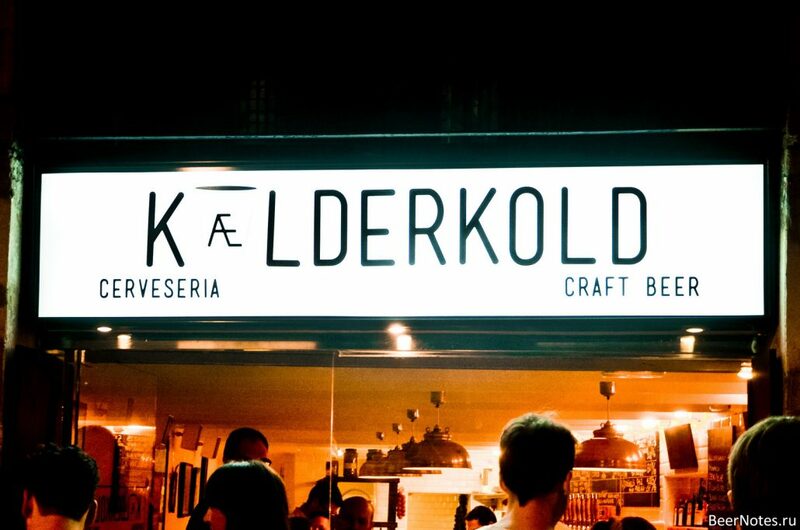 The owners Sergi and David are hospitable hosts and can talk you through which beers you will like based on your tastes. Best for: Exploring a range of 15 beers, enjoying a Danish influence and experimenting with beer cocktails! The name of this bar literally means “cold basement” in Danish, but other than the immaculate beers nothing about this place is cold. Warm staff and a friendly atmosphere make the 15 beers available on tap even nicer. As craft beer fans will know, Denmark has some amazing breweries and that influence is felt in this trendy bar just off Las Ramblas. As though you needed any extra convincing, you can even experiment with beer cocktails! Best for: Incredibly decadent tapas that perfectly complement a wide range of drinks that are on offer. Nestled away in Poble Sec, the small Quimet i Quimet is one of the best bars in Barcelona and boasts amazing tapas and decadent snacks that perfectly complement the drinks of those looking for an authentic taste of Barcelona. The small bar gets very busy, so if you would like a table for a larger group be sure to get there a little bit on the earlier side! Best for: A cheerful place where the emphasis is 100% on delicious authentic food. The interior of this bar doesn’t look incredibly special but do not fear – this is definitely one of Barcelona’s best bars, the emphasis here is just 100% on the food. This is very typically Spanish, and represents a genuine care and respect for the delicious food that you will enjoy! This is a pretty local spot and you will feel like a local as you chill out here and enjoy authentic cuisine. 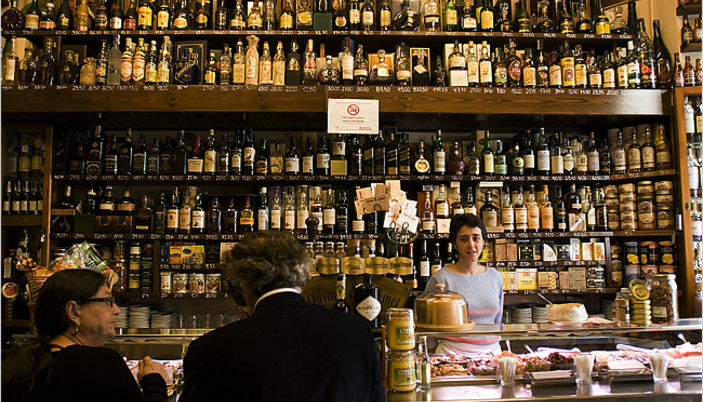 There you have it – our selection of the best bars in Barcelona! What do you think of this list? Is there a particular bar that you think we missed? We would love to hear your recommendations and we will check them out! Nice recommendations, some are indeed pretty good. I really like La Resistencia! Thanks for your comment Andre – some of our team might see you in La Resistencia for a beer soon!